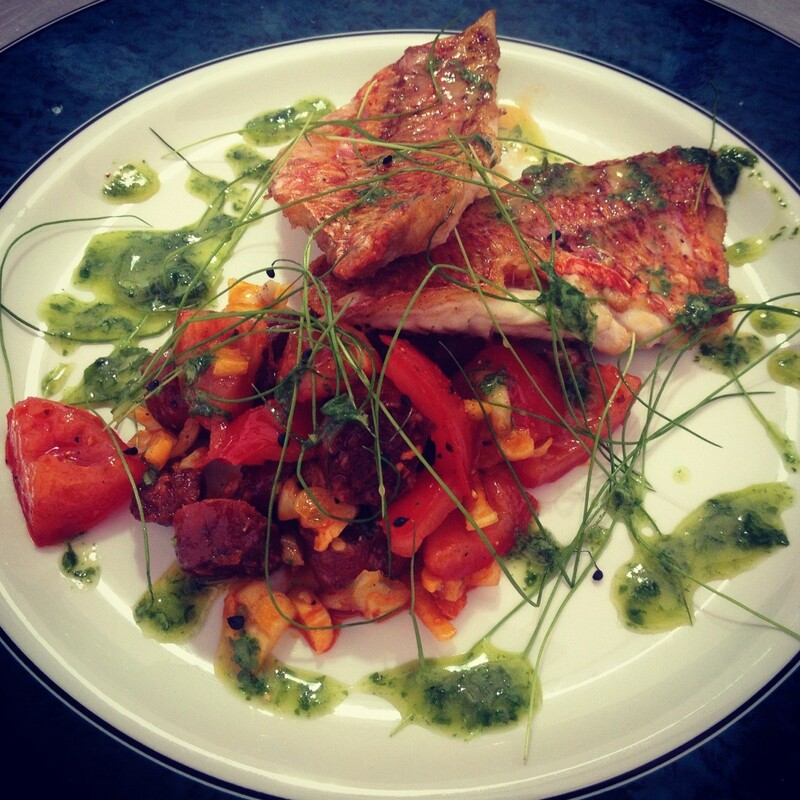 A really tasty recipe from Rob Green of Greens’ of Whitby, Seafood Chef of the Year. Add the garlic and cook for a further 30 seconds add balsamic vinegar and take from the heat. Toss the tomatoes, shallots, Yorkshire chorizo and garlic and a tablespoon of the red oil / balsamic mixture left in the pan. Put the rest of the virgin oil, basil,salt and pepper and a good squeeze of lemon juice into a bowl. Blend with a hand blender until the basil colours the oil. Fry the mullet fillets, skin side down in a non stick pan for 2 mins over a medium heat. Flip over and cook for a further 30 seconds and remove from heat. Drain the fish fillets on kitchen towel and set aside. Place a nice pile of the dressed salad at the top of your plate and place the mullet fillets just below, fanned out. Drizzle some of the basil oil over and dress with a few baby leaves.